I believe the ECM provides a ground trigger to the fuel pump relay, and if it sees low oil pressure, it should cut off the pump, at least when set up like a factory harness. 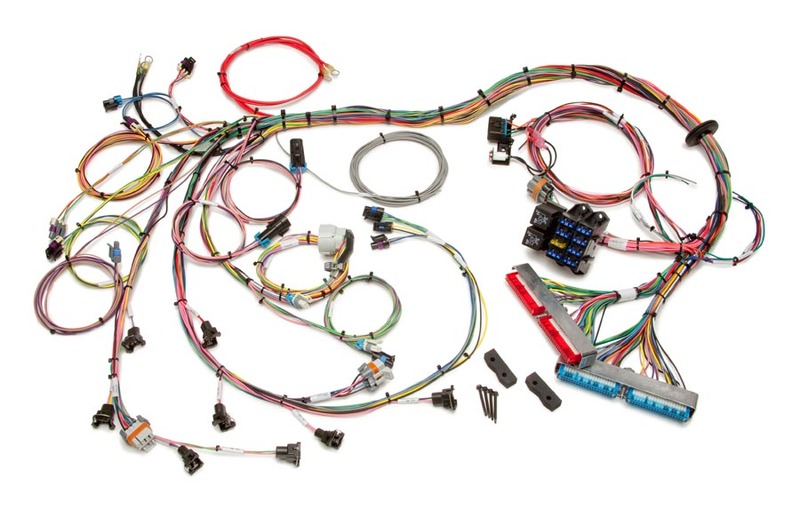 I'd assume the GM harness is the same way, and you could just cap off our chassis harness fuel pump wire and keep it around in case you need a 12V ignition switched wire for anything moving forward. The GM harness works well, but you're going to have a fun time if you are trying to hide that giant fuseblock they have. 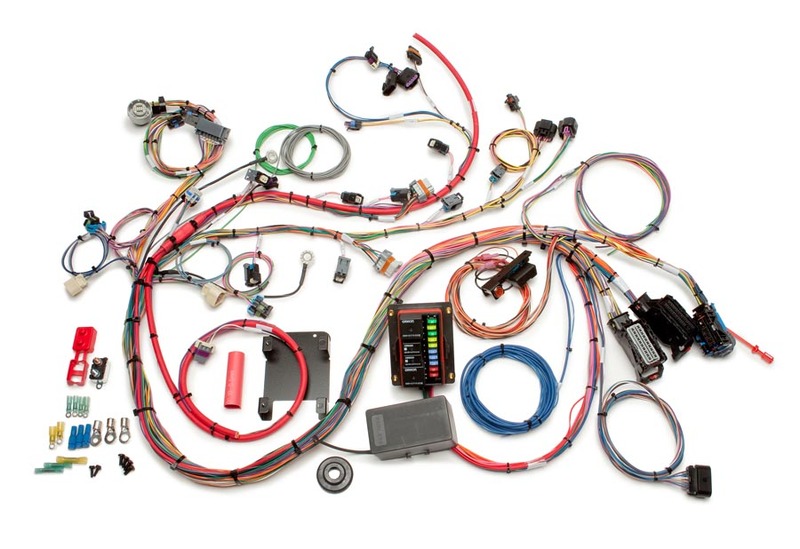 The chassis harness is meant to work on everything from a stock carb'd car, to a guy wanting to update to a simple low amperage fuel pump, to someone like you LS swapping. I removed quite a few wires out of my chassis wiring, as I didn't need the sending unit wires under the hood with my Dakota Digital gauges, etc. I know you need relays, but you don't need a giant box that is 1/3 full taking up space. I too am installing Dakota gauges. I may hit you up with a few questions if I get confused. Also, when you say "removed quite a few wires from my chassis wiring", are you referring to the GM harness or the Painless one? Mike, my mess isn't worthy of pictures yet...I am attempting several mini projects simultaneously. I used Dakota Digital's BIM-01-2 module to plug into my OBD-2 plug to avoid running separate sending units, so I unpinned all the sending unit wires at the firewall from my Painless chassis harness. It pulls all data from the OBD-2 plug, and all I had to run was an oil pressure sensor. However, I have heard of some issues with the protocol GM uses in the E-Rod kits, so I would call Dakota Digital and verify your computer/harness will work. The BIM-01-2 module is only like $100 and well worth it to not have to mess with extra sending units. Just the ground trigger wires, but I wanted to keep my fan relays near the battery with the amperage spike some fans have on start up, so I just used our weatherproof fan relay and mounted it in the inner fender by the battery. I ended up putting my 0411 PCM in the driver side kick panel, and routed the wires where the cable pull runs for the astro-ventilation. Wasn't my first choice, but was the only spot I could mount it without losing access to my glovebox, etc. As far as the wires coming from the bottom, that's how the terminals for the PCM connector are going to be on that style PCM, regardless of who's harness it is. No the fuse block. The wires are terminated on the bottom so the box can be mounted flat to anything.